protects and heals both oneself and others. Mediative working with the ten stages unleashes a pure font of well-being and safety for ourselves and others. Just as a mother gives her own life to protect her child, so our meditation on loving-kindness only gives and never wants anything in return. To promote one's own interest is a primordial motivation of human nature. When this urge is transformed into the desire to promote the interest and happiness of others, not only is the basic urge of self-seeking overcome, but the mind becomes universal by identifying its own interest with the interest of all. By making this change one also promotes one's own well-being in the best possible manner. Stages is the protective and immensely patient attitude of a mother who forbears all difficulties for the sake of her child and ever protects it despite its misbehaviour. Stages becomes the attitude of a friend who wants to give one the best to further one's well-being. 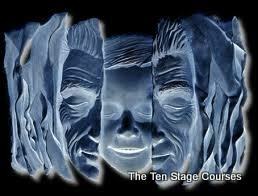 Stages is the acquisition of a tremendous inner power which preserves, protects and heals both oneself and others. Many of us are attached to a number of things that we think are crucial for our well-being. For victims of trauma, experts say, dissociation is often lifesaving. How Do I Meditate in Stages? Labels: Child Within awareness is the acquisition of a tremendous inner power which preserves protects and heals both oneself and others.